“Quiero mi Cuba libre para que mi gente puendan bailar.” [“I want my free Cuba so that my people can dance.”] Gloria Estefan’s lyrics have inspired millions of people worldwide and the message of Estefans’s newest show to hit Broadway in October will be no exception. 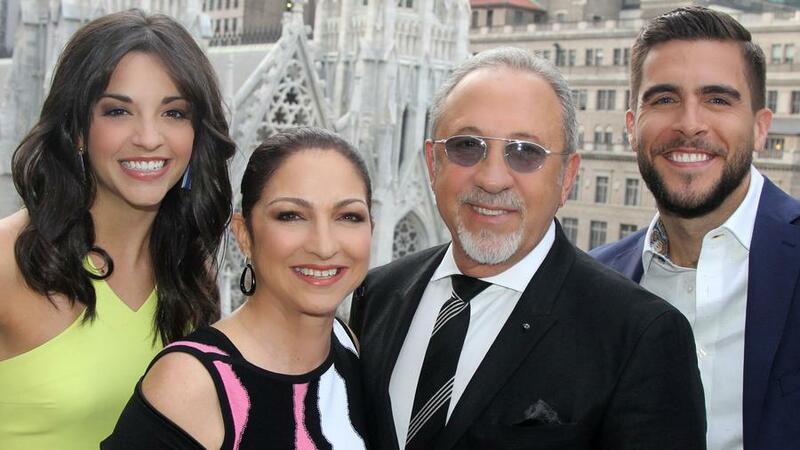 Bringing the rhythmic, vibrant, and heart pounding music of Gloria and Emilio Estefan to the big stage in On Your Feet is a dream come true for many Cuban-Americans and fans worldwide. The musical is set in the heart of Little Havana, also known as, Calle Ocho in Miami, Florida. The pre-dominantly Latino American cast not only tells the story of the Estefan’s rise to fame, but also acts as a window into U.S.-Cuba relations. Emilio was Gloria’s boss during the days of the Miami Sound Machine. The duo married in 1978. Since then, they paved the way for singers as big as Shakira and Jennifer Lopez. While working with the duo, the cast members said that the Estefans maintained their identities, never let go of where they came from, and broke the mold for other Latin artists. For Cuban-Americans, a mainstream Broadway show with their favorite Miami royals brings the Cuban story into the main American narrative. Nothing has been seen of a mainstream Cuban-American story since the time of I Love Lucy with Ricky Ricardo and Lucille Ball. Recognition of the musical’s message conveys hope for many Cubans and Cuban-Americans. Nina Lafarga, one of the show’s cast members and a first generation Cuban-Trinidadian-American, was born and raised in Miami. Lafarga, like her fellow castmates, said she identifies with the Estefans’s story in a phone interview. “I had never been in anything that was so aligned with who I am and where I come from. The show is part of my culture and identity,” says Lafarga, who also performed in In the Heights, a musical about Latinos in the barrio of Washington Heights, NY. Fellow cast member Carlos Gonzalez immigrated to the U.S. at 11-years-old from Bayamo, Cuba, a small village about 500 miles from the capitol of Havana. He recalls Bayamo being 10 years behind the rest of the world and never being able to buy a recording of Estefan. The lotería, or lottery, that Gonzalez refers to is the government system by which Cubans leave their homeland. Once the Cuban government permits Cubans to leave, they confiscate their homes and all possessions. The cultural bridge to Cuba may be open, but The New York Times recently reported that American tourism continues to be banned. Following President Obama’s decision to restore full diplomatic relations with Cuba in December 2014, a bill to repeal the 1996 and 2000 laws that barred travel by Americans has been left untouched. Earlier this year at Summit of the Americas, Obama and Raul Castro made their second cordial handshake since the announcement in December. An unofficial handshake took place between the two leaders at the funeral of Nelson Mandela in 2013. More recently, a Cuban Embassy opened in Washington, D.C. and an U.S. Embassy opened in Cuba, but the U.S. tourism banned remains. Inaction has left many Cuban-Americans anticipating the next step in U.S.-Cuban relations.